A brief introduction to the course content, and how it will be structured around big questions of life. Question: What are your big questions in life, or about Christian faith? 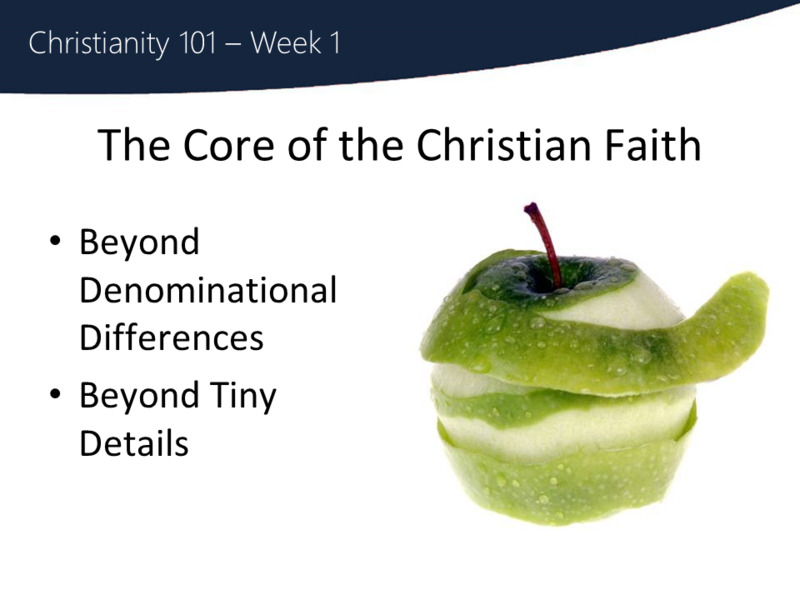 In this course, we look at the core of the Christian faith. In this course we are not trying to explain how certain churches and denominations differ, but instead we’ll look at what most Christians around the world can agree on. In just five/ten weeks, we also won’t get into tiny details that people like to argue about – like how many angels fit on the head of a pin! We want to look at the big picture of Christian faith, and then we’ll leave the little details for another time. We’ll be exploring how the Christian story answers some of life’s big questions. Big questions are the kinds of questions we can often ignore in the business of day to day life, but arise in those cloud-gazing moments when we pause and take stock of our lives. They are often spiritual! If there is, can we know God? Questions like these are “big” questions – but they’re hard to ask. We’re either too busy to pay attention. Or that we’ll be fired from our jobs, or sued, for bringing up religion in public! This course exists to explore these big questions in a safe place, where you can focus, be honest, and not get run out of town or lose your job! I know many of you have brought big questions to this course. So in groups, share the big questions you’ve brought today. What are your big questions in life, or about Christian faith? You might want to write them in the comments section below. Welcome to the first day of the Christianity 101 Course! Why has no one else commented? Because we’ve just launched, and you’re one of the first to enjoy our new app and web site. Please feel free to comment and ask questions in this space.